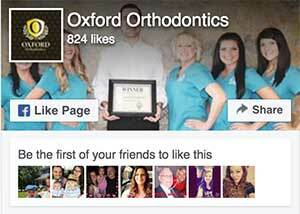 Oxford Orthodontics is proud to serve Mt. Juliet, Lebanon, and surrounding areas. We are dedicated to providing the highest level of orthodontic treatment along with friendly, compassionate service. Our team of dedicated orthodontic professionals are here to serve you. We combine extensive knowledge in the field of orthodontics with a passion for helping people love their smiles. It is our goal to create a friendly and professional atmosphere that you can rely on for all of your orthodontic needs. If you have any questions about how we can care for your teeth & mouth, please don't hesitate to call us at (615) 553-4054. Thank you! Oxford Orthodontics Copyright © 2019.